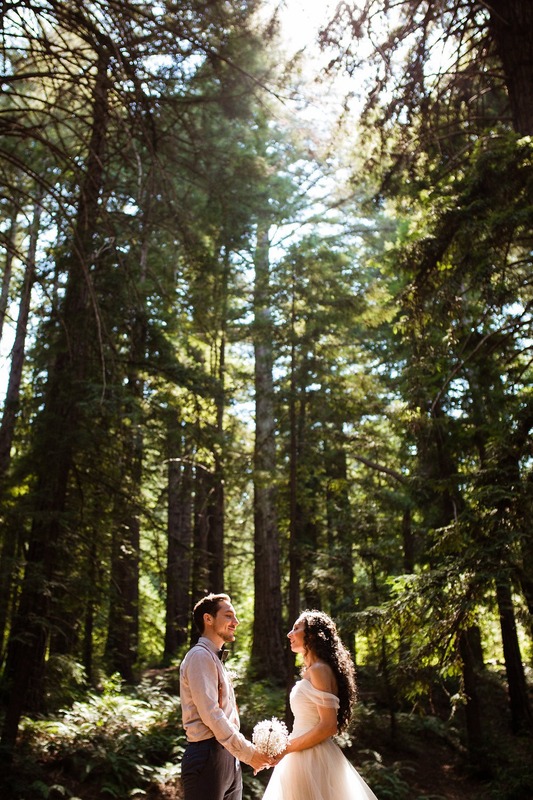 Jackie & Saša spent a whole month traveling the good ol’ USA before saying their "I dos" in the Redwood forest in Big Sur, California. 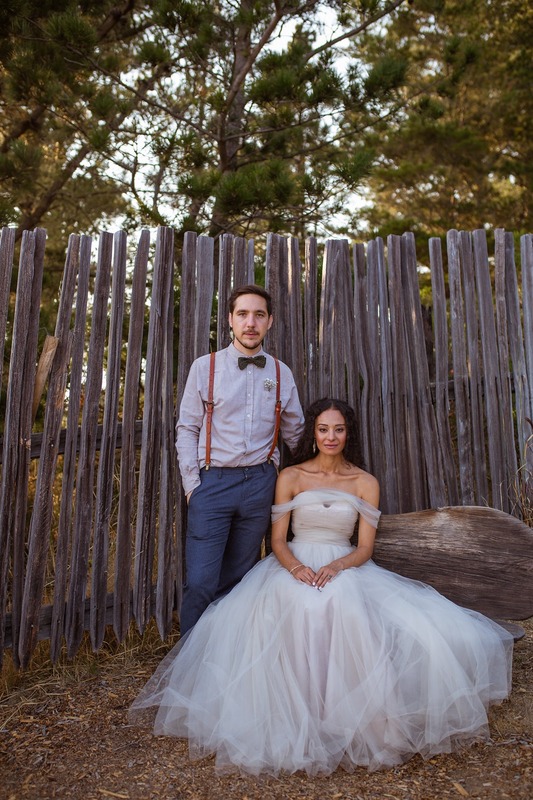 Their shared love for adventure was a key part of their story and is something they will never forget! 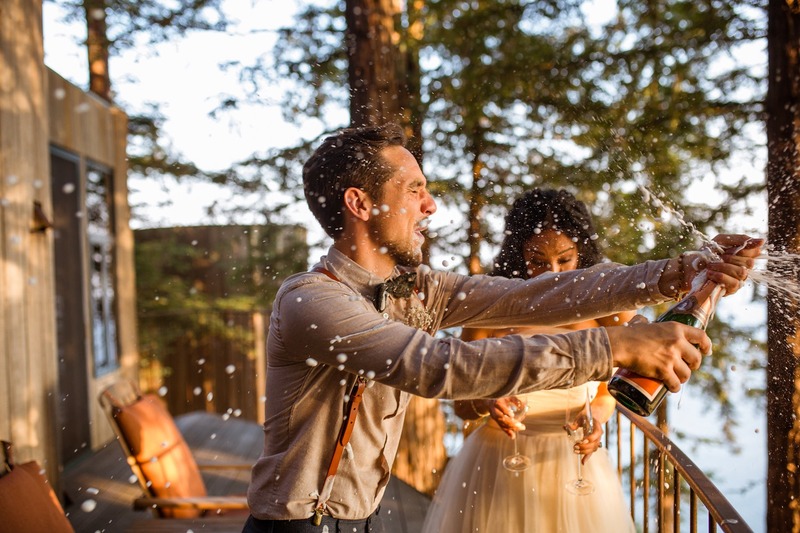 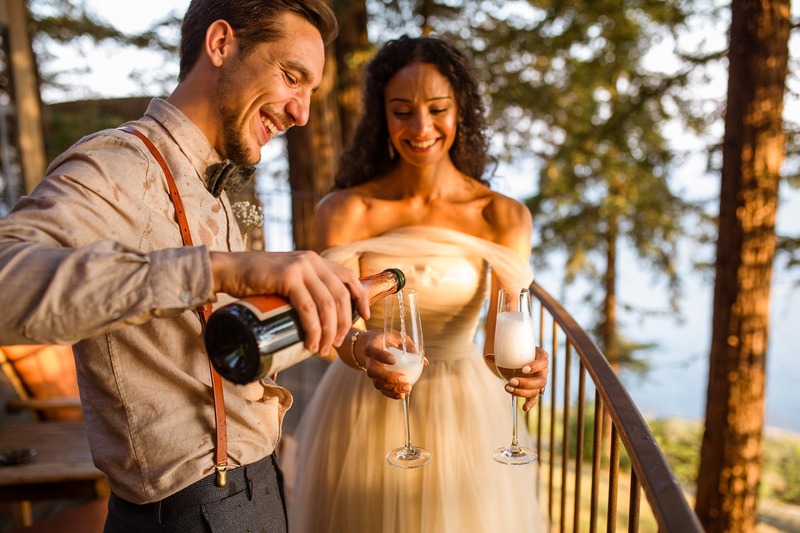 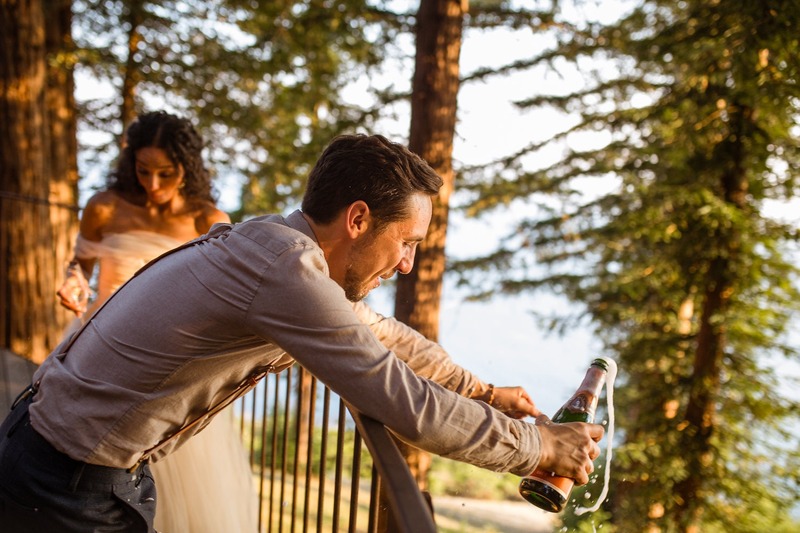 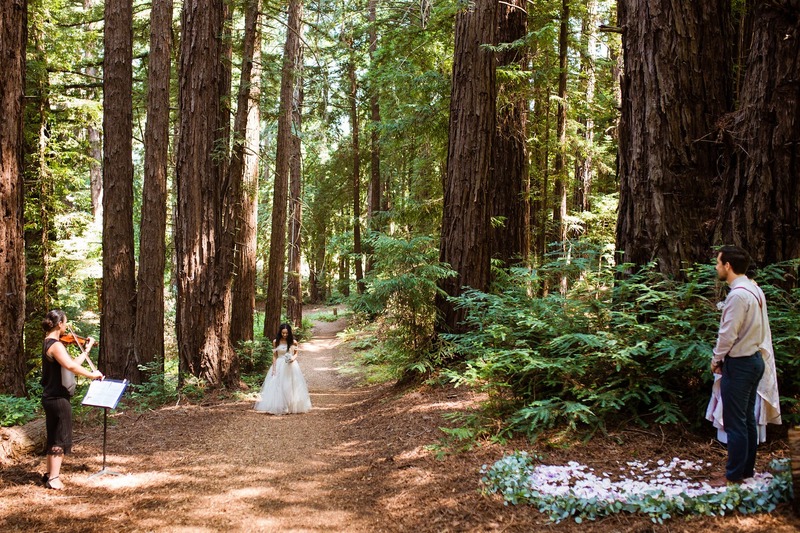 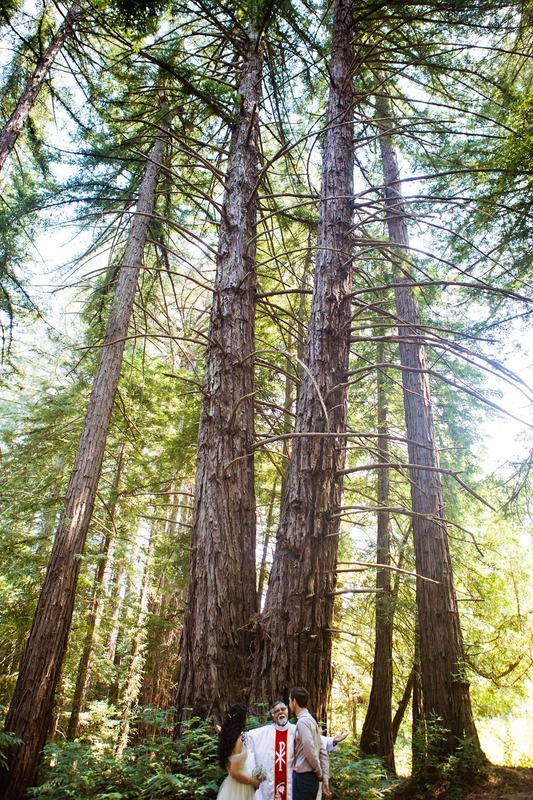 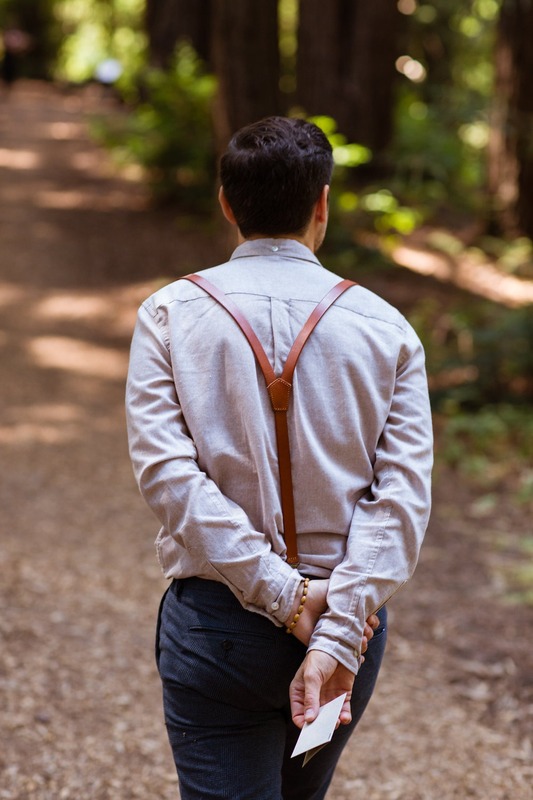 From a trail of love notes in the redwoods to their champagne toast on the water, you can tell these two had the best time ever celebrating their love! 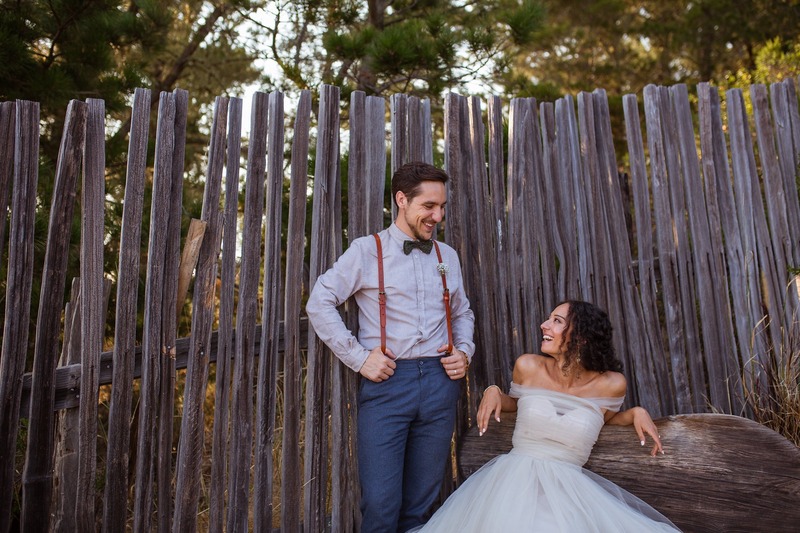 Coordinated by Weddings by Aimée, see it all below + in the full gallery captured by Sarah Rittenour Photography. 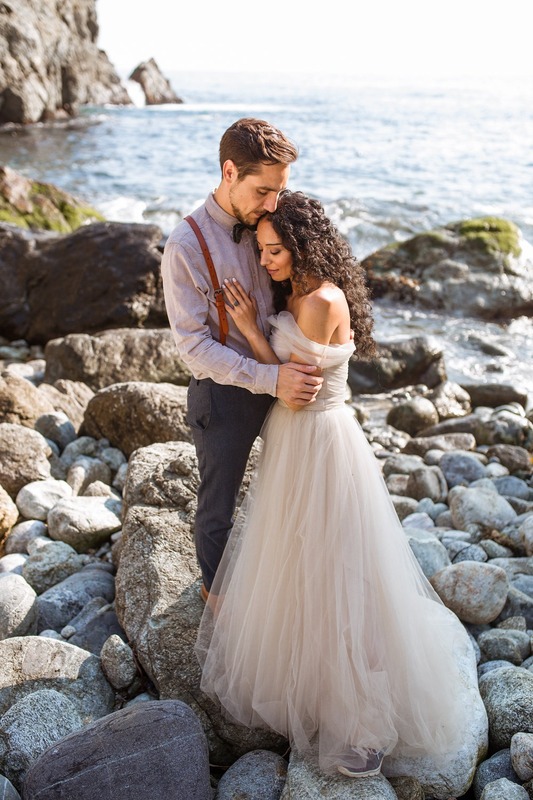 From Sarah Rittenour Photography: Jackie & Saša own and run a creative video studio together in Sweden and when they started to plan their destination wedding, they realized they wanted it to be anything but ordinary. 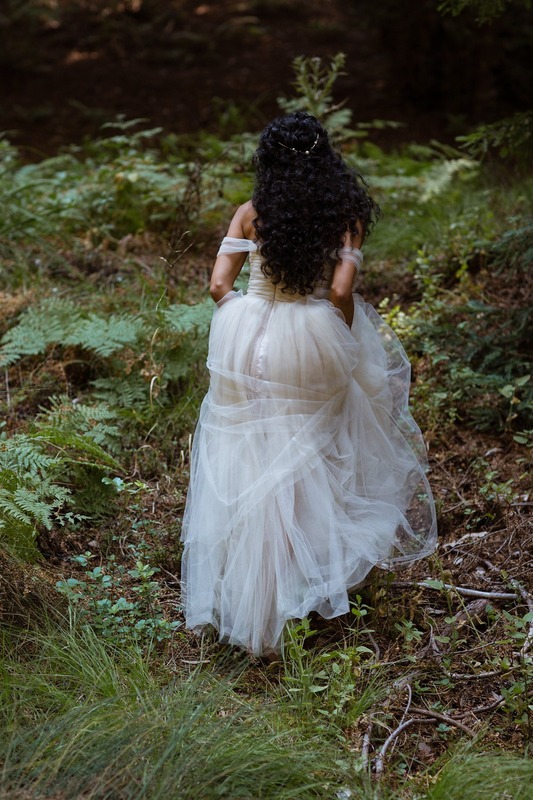 Months of careful planning went into this fairy-tale wedding, with adventure as a key part of their story. 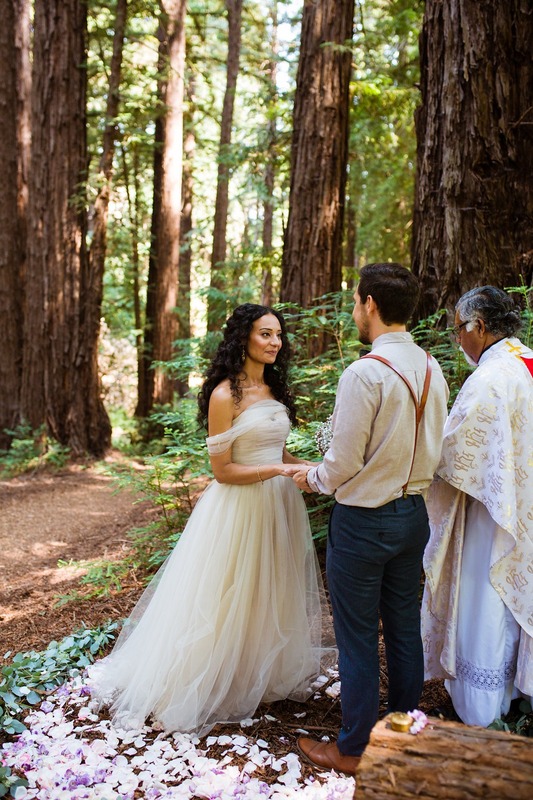 They began their day at iconic Deetjen's Big Sur Inn off the Pacific Coast Highway and made their way to the exclusive Post Ranch Inn for their ceremony. 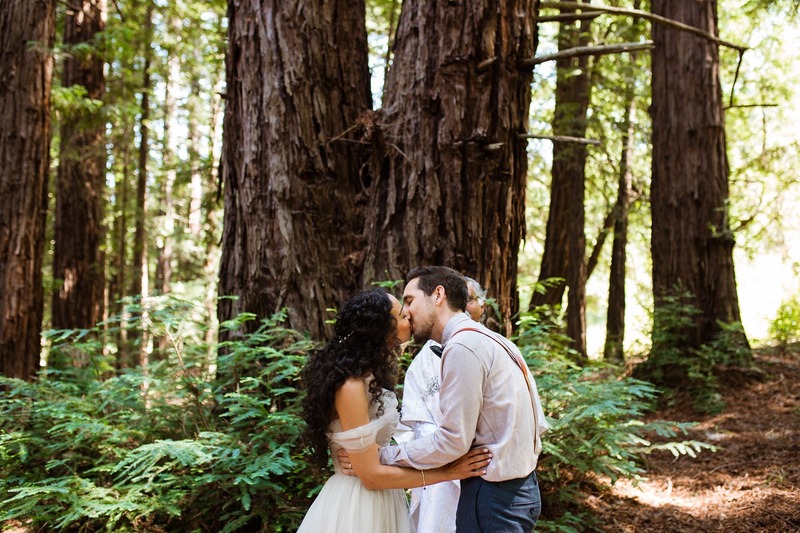 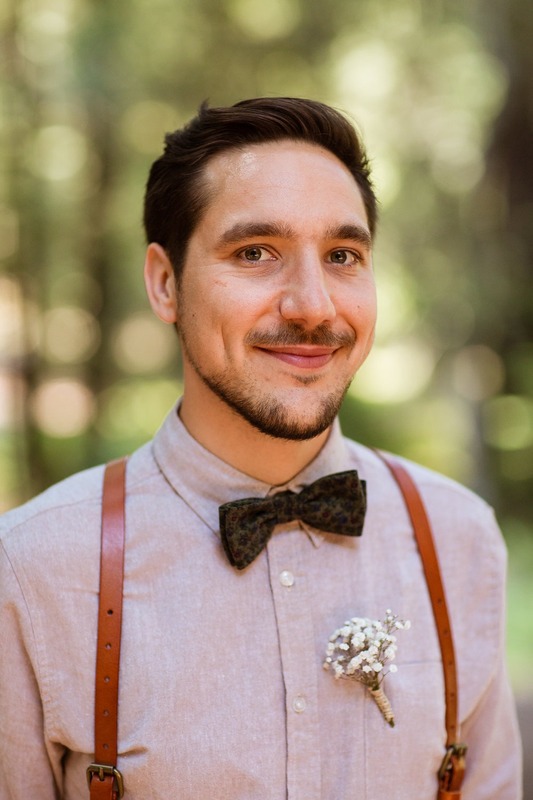 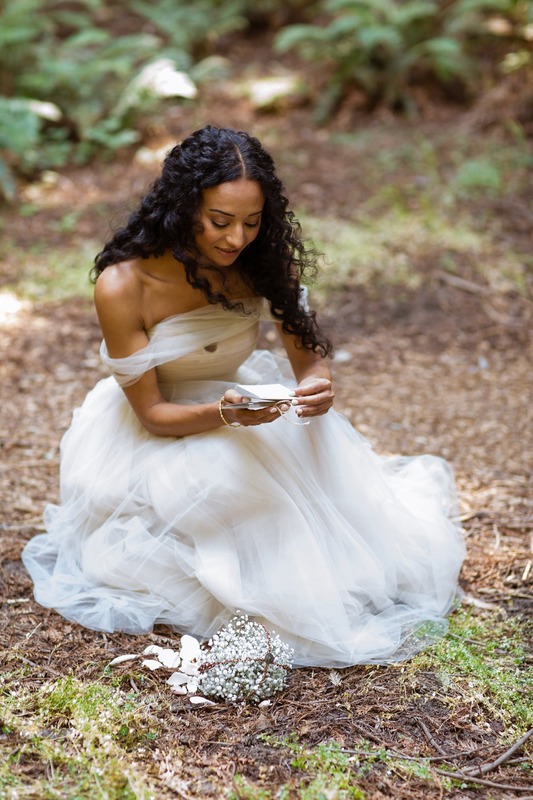 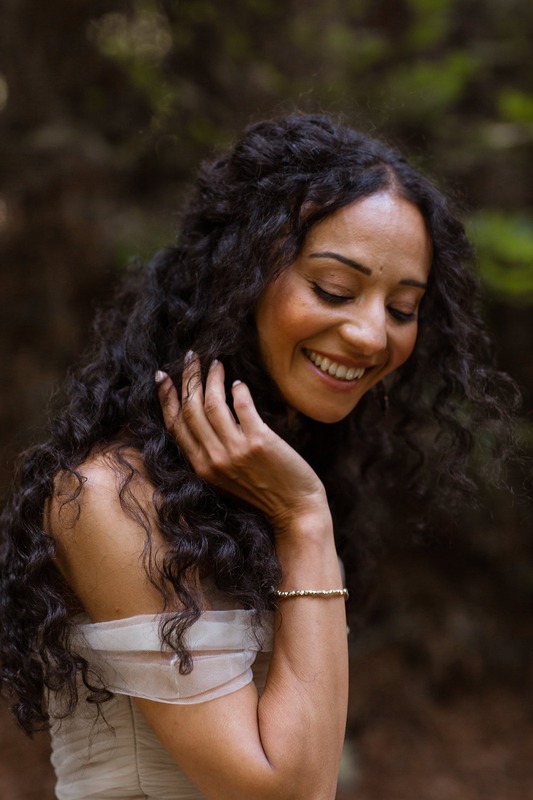 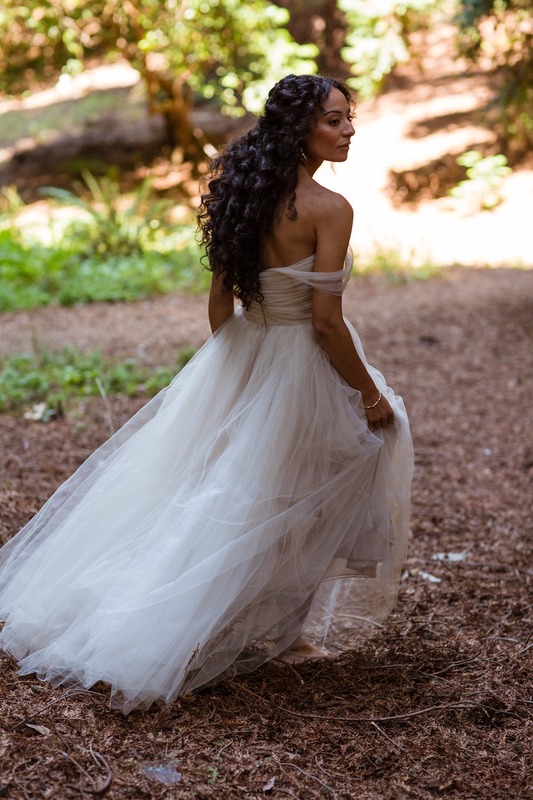 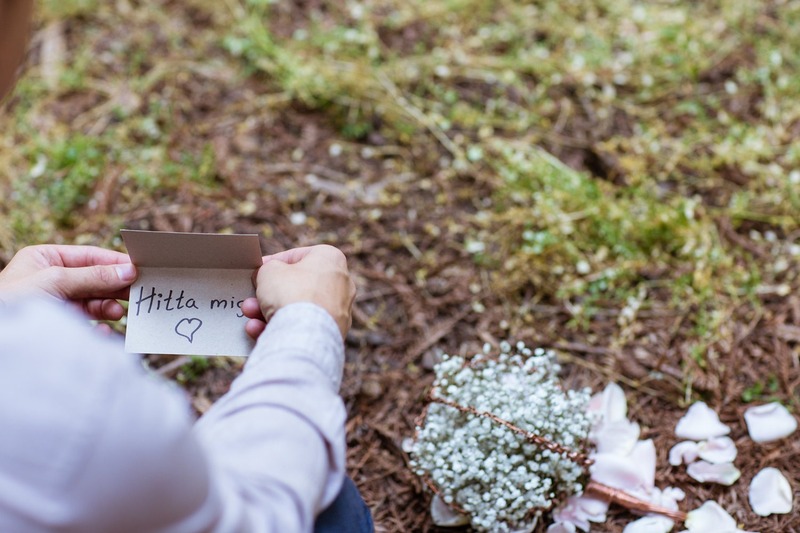 Saša left Jackie a series of love notes throughout the forest, leading her to him and their dream ceremony underneath two conjoined redwood trees. 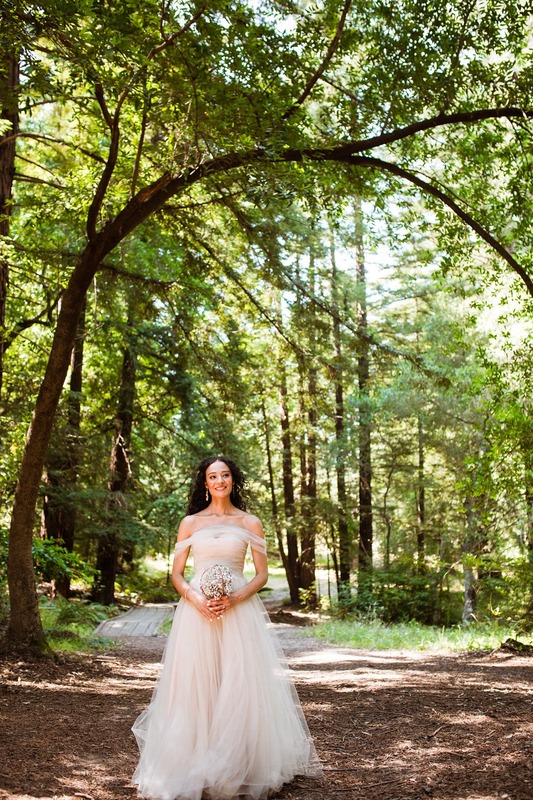 Saša's final note read, "Find me," at which point the violinist began to play the song that lead Jackie down the aisle. 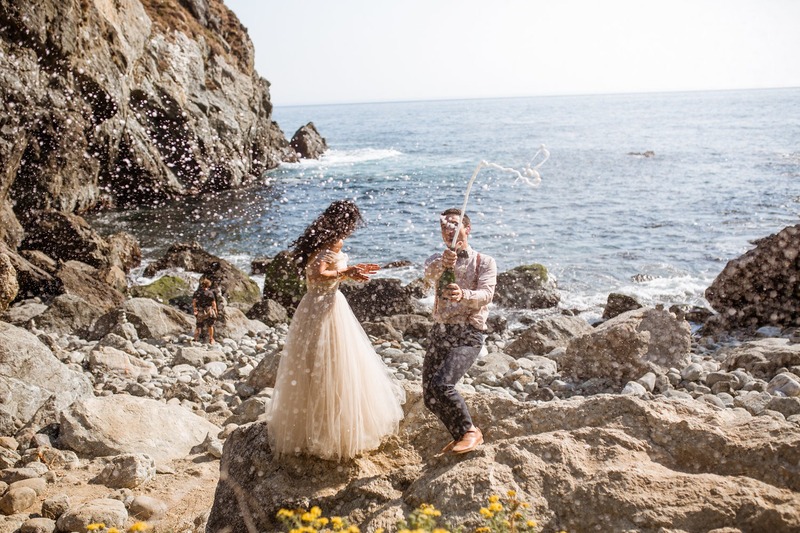 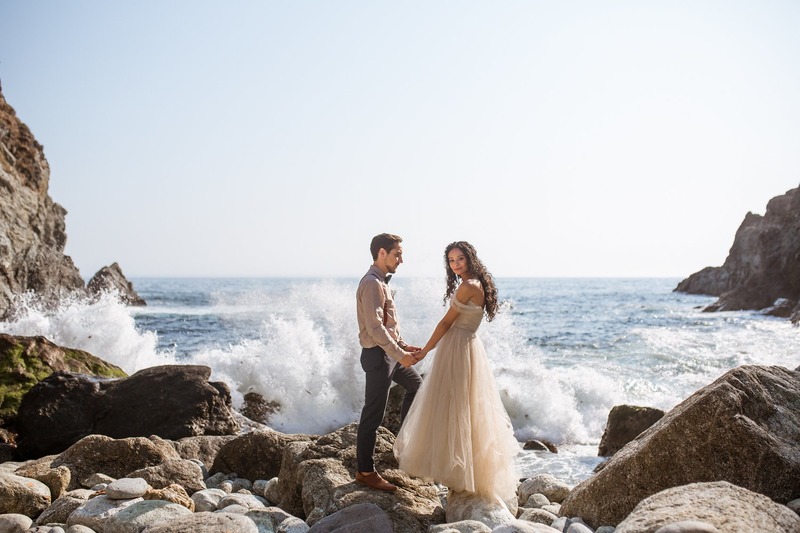 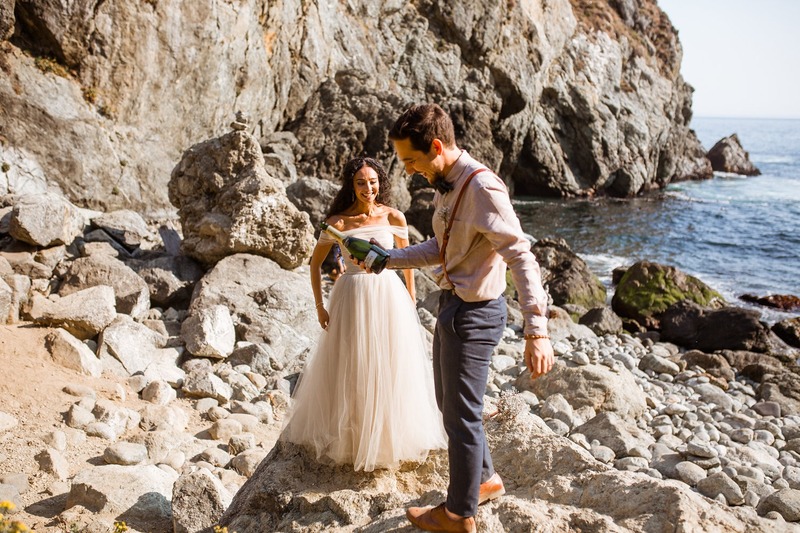 After the ceremony, they continued to wander through the forest and made their way to a rocky cove for a champagne toast (that went a little awry, as you'll see). 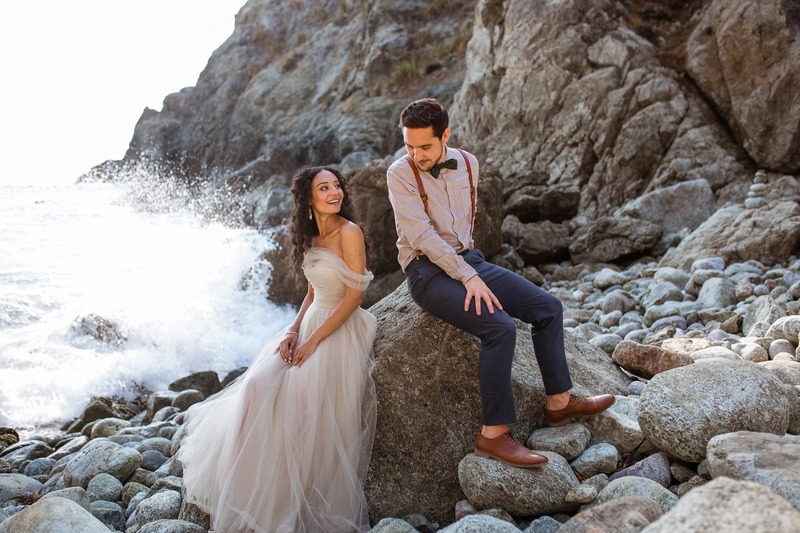 A fun side-story to this elopement: Jackie & Saša spent nearly a month on their journey to Big Sur, stopping in Iceland, New York City, and the Grand Canyon among other destinations. 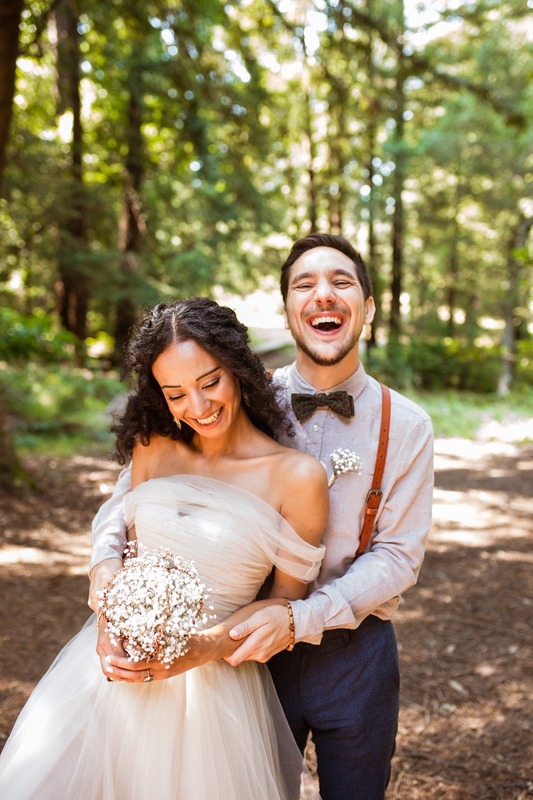 Along the way, they got dressed in their wedding attire and took photos and videos in each new location. 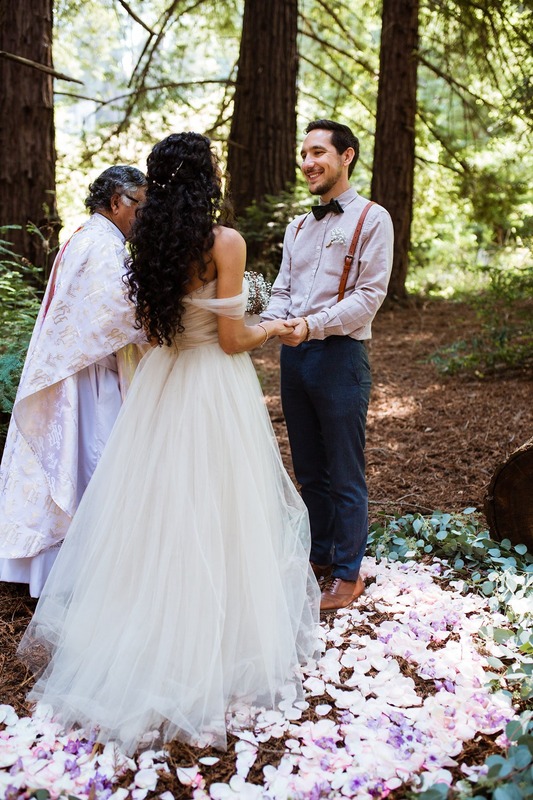 With this being such a "small" wedding, I love how big they went with it; making the entire experience truly their own.